Jomsom Muktinath Trek is a perfect blending of pilgrimage and adventurous trekking. One of the most visited sites in Nepal, Muktinath, famous for being Lord Vishnu’s domicile, lies in the Himalayan Mustang district, in the northeast of Jomsom, the district headquarters, in the elevation of 3800m at the foot of the Thorong La Mountain Pass. This temple is visited by Hindus and Buddhists alike. 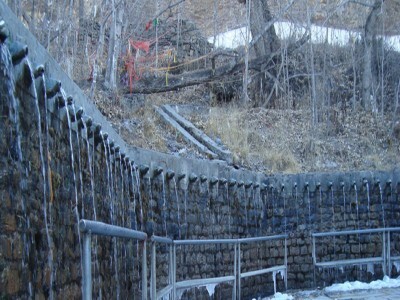 The place is also called Muktichettra meaning ‘place of salvation’. 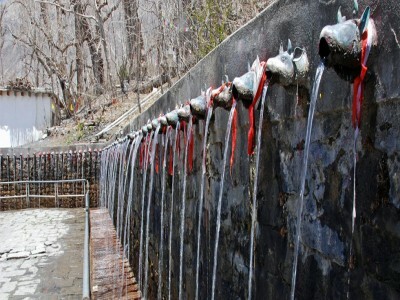 The Buddhists call it Chumig Gyatsa, which in Tibetan means 'Hundred Waters’. 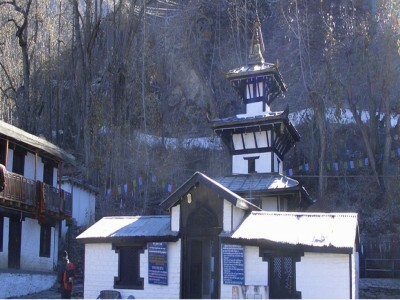 The Muktinath Temple is one of the most sacred places of Hindus and Buddhists alike. 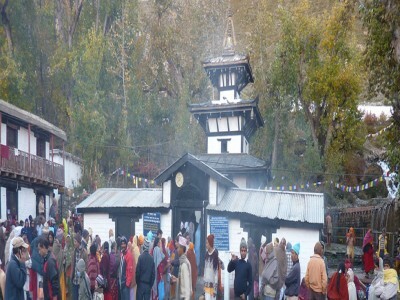 A number of devotees from the South Asian nations, mostly those inhabited by the Hindus, visit this pilgrimage site every year. 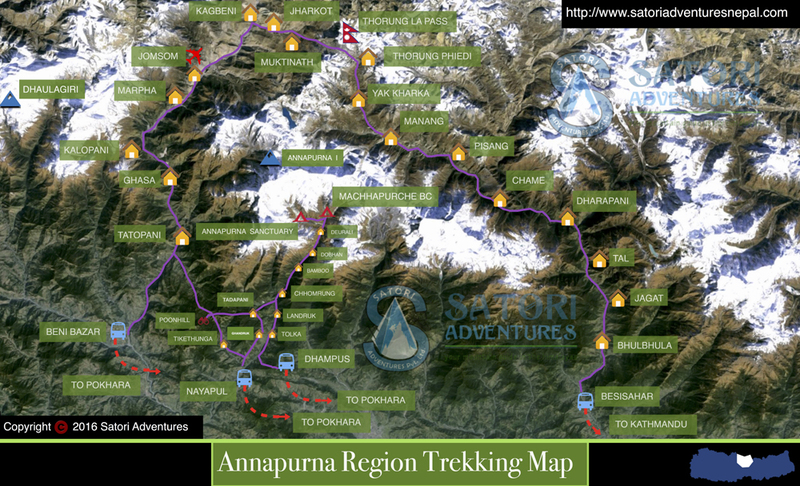 The Trek starts after a one-and-a-half-hour drive from Pokhara to Nayapul You can also take a flight from Pokhara to Jomsom. Apart from some magnificent views of the Himalayas Kunda, Mukti Dhara, Jwala Mai Temple, Mebar Gompa, Swaminarayan, Shaligram are the main attractions of this tour. Duration: 06 Days Elevation: 2895/9496ft, Grade: Easy Co-Ordinates: 28° 49′ 0″ N, 83° 52′ 15″ E Group Size: 01-10 persons per Group. Duration: 13 Days Elevation: (3180m/10433ft) Grade: Easy/Moderate Co-Ordinates: 28° 49′ 0″ N, 83° 52′ 15″ E Group Size: 01-10 persons per Group. Duration: 16 Days Elevation: (3800m/12465ft) Grade: Moderate Trek Co-Ordinates: 28° 49′ 0″ N, 83° 52′ 15″ E Group Size: 01-10 persons per Group. Duration: 13 Days Elevation: (3800m/12465ft) Grade: Moderate Trek Co-Ordinates: 28° 49′ 0″ N, 83° 52′ 15″ E Group Size: 01-10 persons per Group.